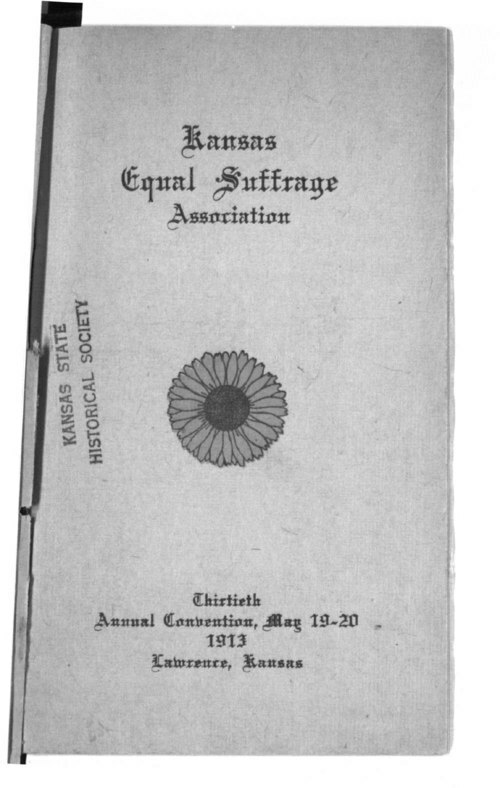 This program is for the thirtieth annual convention of the Kansas Equal Suffrage Association. The program includes the events of the convention and a listing of the committees. Lucy B. Johnston was the president and Stella Stubbs, the wife of Governor W. R. Stubbs, was the first vice president. The convention was held in Lawrence, Kansas, May 19-20, 1913. People - Notable Kansans - Stubbs, Stella H.